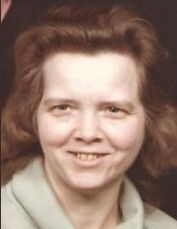 Muncie: Edith Shimer, 79, passed away on Thursday March 28, 2019 at IU Methodist Hospital in Indianapolis, Indiana. Edith was born in Crossville Tennessee on November 3, 1939 to Thelma and James Griffin moving to the Muncie area when she was 17 years old. Edith married the love of her life, Marvin O. Shimer in 1962. Edith enjoyed spending time with her friends and family, especially her two grandchildren, Matthew and Megan. Edith also enjoyed spending time with her grand-puppy and great grand-puppy, Ezra and Whitman. They will both miss the belly rubs and scraps of food. Edith was a lifetime member of Weight Watchers and enjoyed going to weekly meetings to see her progress and socialize with friends. Edith also had a strong faith in Jesus Christ and was an active member of the Apostolic Church. Surviving Edith are daughter: Susan (Timothy) Pierce in Muncie, IN, 2 grandchildren: Matthew Pierce in Muncie, IN, Megan Pierce in Fishers, IN, 2 sisters: Betty Ann Vaughn in Tennessee, Margie Brock in Georgia and her brother: Michael in Florida. Edith was preceded in death by the love of her life, husband Marvin, son: Steven Pruitt and his wife Mary, five sisters: Helen Ellis, Imajean (Bob) Hale, Louise Brookhart, Mary Frances and Kathryn, four brothers: James Lee, John Robert, Kenneth and Charles Griffin. Funeral services will be held at Parson Mortuary on Tuesday April 2, 2019 at 1:00pm with Pastor Denny Helton officiating. Friends may call from 11:30am until the time of service. Burial to follow at Beech Grove Cemetery in Muncie.